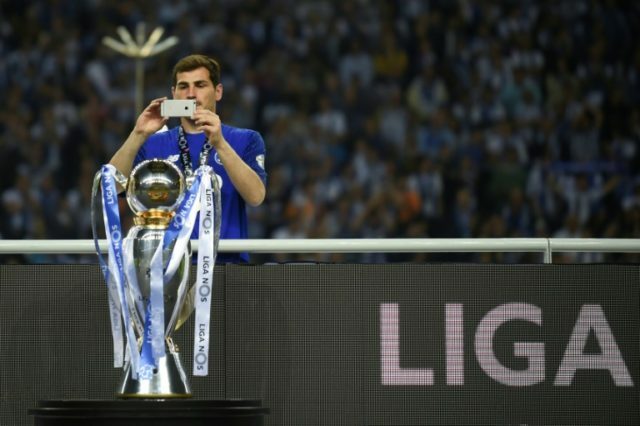 Madrid (AFP) – Porto’s veteran Spanish goalkeeper Iker Casillas, coming to the end of his contract with the Portuguese champions, has admitted that he wants to continue playing. “I want to carry on playing football and if Porto come knocking on my door I’ll welcome them with open arms,” Casillas said in an interview with Marca on Monday. Casillas, his country’s most-capped player with 167 appearances, left Real Madrid, for whom he played 725 times, in 2015 to join Porto. He captained his country to their first World Cup title in 2010 as well as consecutive European Championships, in 2008 and 2012. The 36-year-old broke through into the Real first team as a teenager in 1999, winning the Champions League on three occasions before moving to Porto. “The reality is that my contract ends on June 30 and I don’t know what will happen,” Casillas said. Porto have long announced that Casillas was to leave at the end of the season following a three-year stint in Portugal as the club look to trim their payroll. The club secured a 28th Portuguese league title on Saturday after a goalless draw between Sporting Lisbon and Benfica left Porto four points clear with just a game to play. They celebrated clinching their first championship in five years with a 2-1 win over Feirense on Sunday, a result that stretched their lead at the top to seven points.